I always seem to end up in Primark after pay day. No matter how hard I try I just can't resist a new top or some more socks! This month has been no different but I'd thought I'd share what I brought! 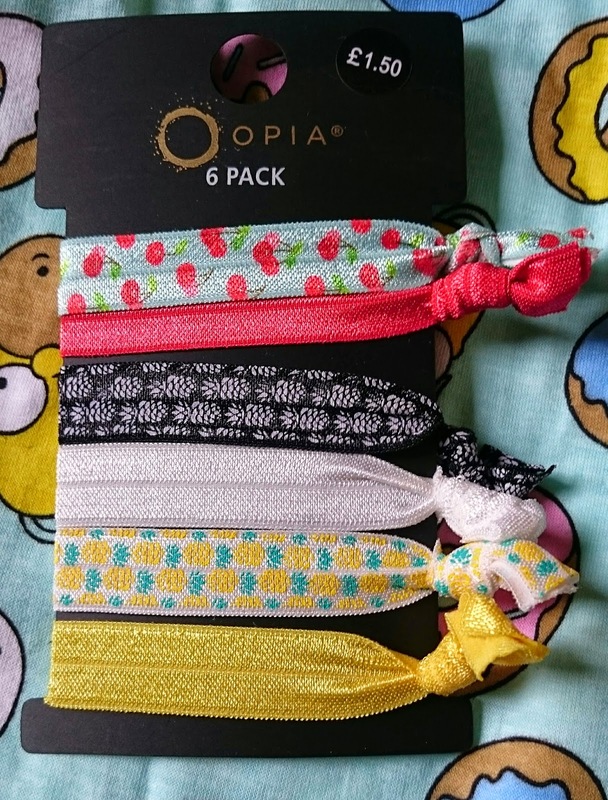 I'm sorry if you hate these kinds of post but I love seeing what people brought from Primark! I never seem to be able to find the things everyone else does though, is that just me?! I have a weird thing about PJ's & socks. I always end up buying them! 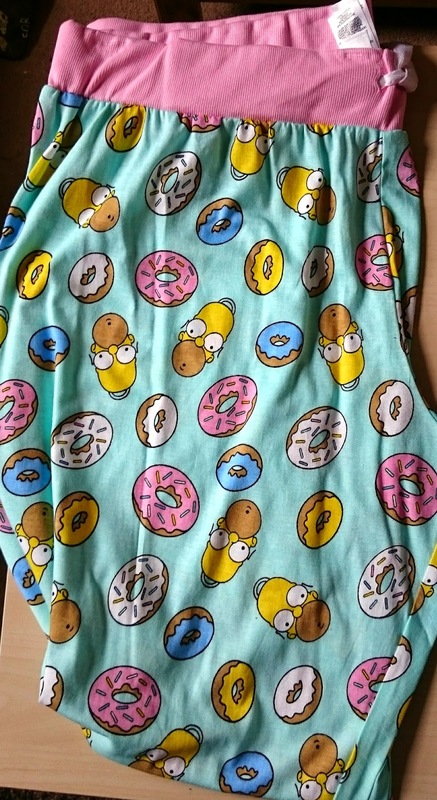 I couldn't resist these as I adore the Simpsons and who doesn't like doughnuts?! I really liked this top! 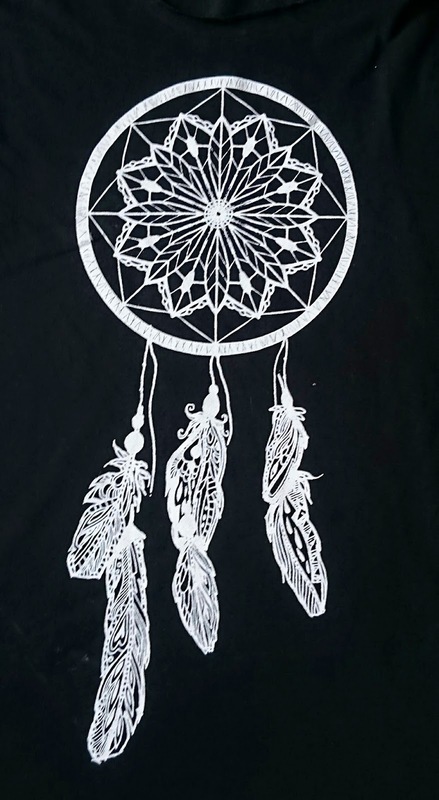 It's super sheer, so I will have to wear a tank top underneath but I think it'll be awesome for summer (when it finally arrives anyway!). 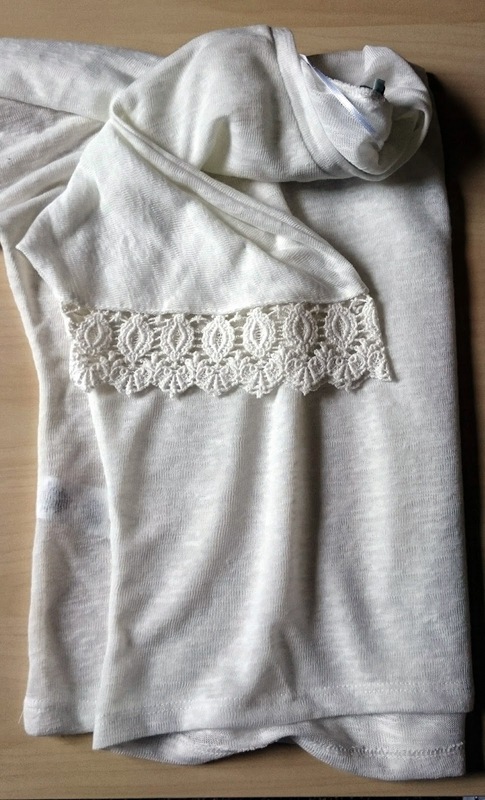 It's got gorgeous crochet details on the arms and offers bit more cover without being heavy. I love a good tank top for summer. This one is a bit low cut at the sides so again, I'll wear a top underneath but I really liked the simplicity! I've kinda fallen in love with these nail varnish pots in general. Long gone are the days of faffing about with cotton wool and these are so much quicker! 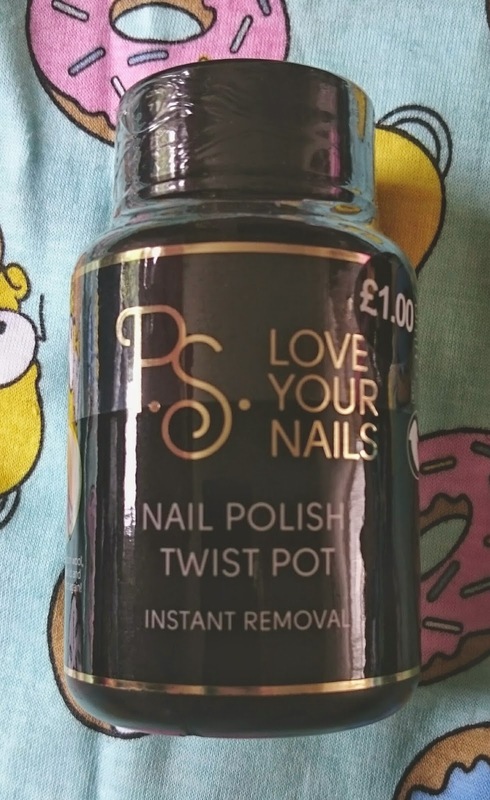 I've never tried this one before as I usually opt for the Nails Inc version but for £1 I just had to give it a shot! 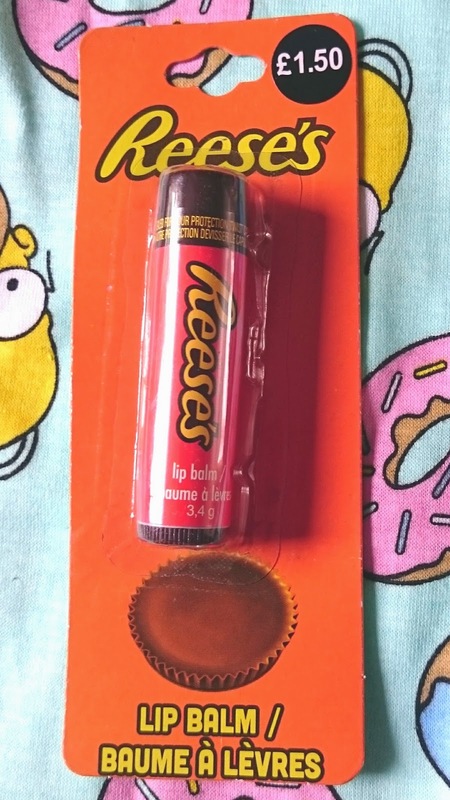 Peanut butter cup flavour lip balm, how could I say no? I've been in need of a lip balm recently and although this is so childish I couldn't help but pick it up! I've been wearing it today and I'm not convinced my lips feel any softer but it certainly tastes & smells delish! I've kinda gone off the invisible style ones as I've found you can still see them and they can still get tangled. So here's to hoping these are as good at holding my hair up as they are cute! You can't really go wrong with earrings can you? I wear a different pair everyday so find that cheap and cheerful suits me fine! 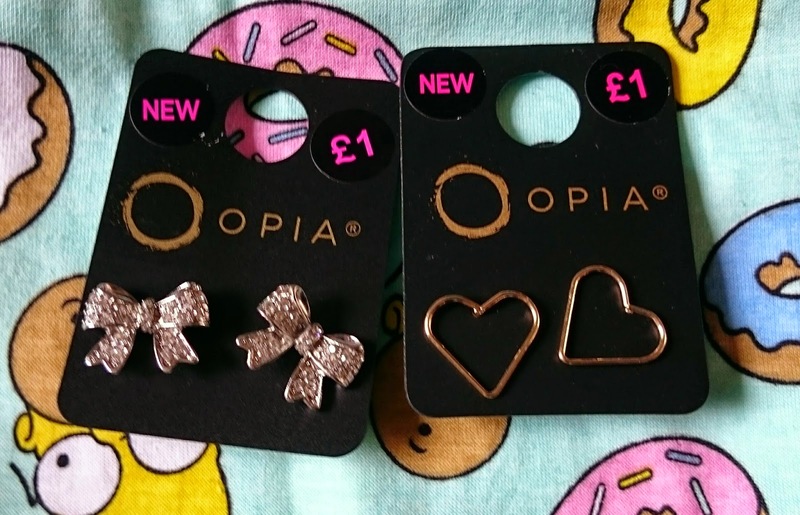 I have more expensive pairs but generally I rock the Primark earrings and for the money they cost I can't fault them! I loved these for the bling & the simplicity! 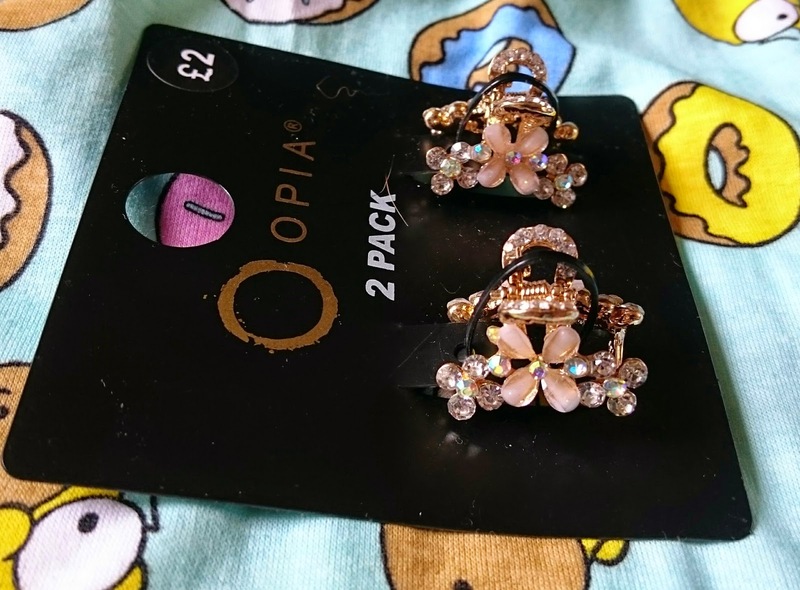 With summer coming I've been looking for some blingy hair clips that aren't just standard bobby pins so when I spotted these I knew I had to have them. They had loads to choose from so I might just end up back in Primark for a few more sets! I also brought Makeup Remover Wipes. I know, they aren't fab for your skin but I really like the Primark ones just for getting the majority off my face before I cleanse & tone. 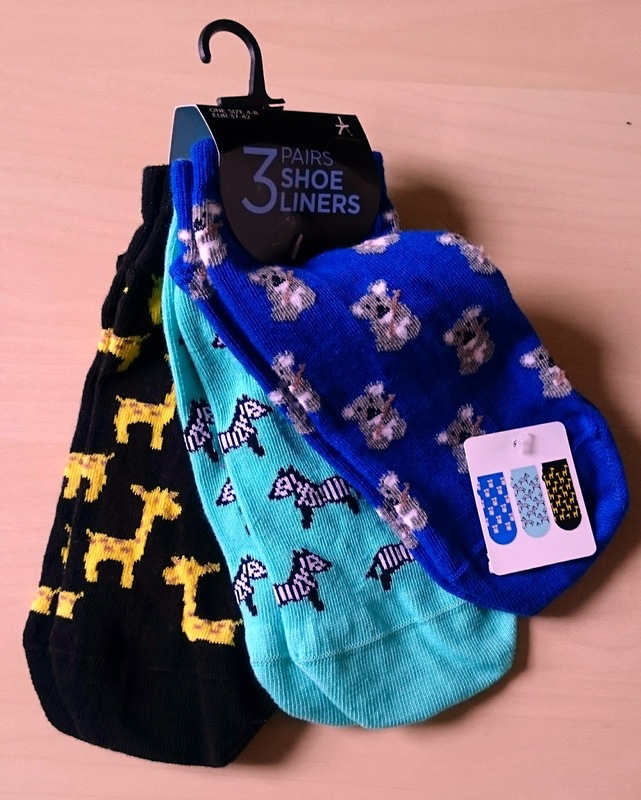 If you've been to Primark recently, what did you get? Out spending my money again, what's worse is I didn't get anything, at least you didn't get any more lace! I do the exact same, get paid and head to Primark, I have no idea why the amount I spent on PJ's per year in there could probably buy me a holiday! The sock looks pretty cool though.